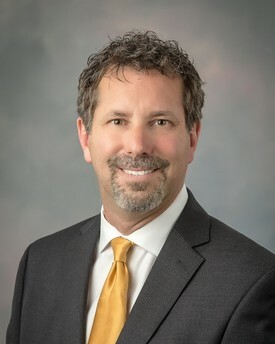 Dr. Salkeld was born and raised in Fort Wayne, IN. He attended Northrop High School then pursued higher education at DePauw University and Indiana University School of Dentistry. He graduated in 1991. Dr. Salkeld practiced dentistry in the Fort Wayne, IN, Noblesville, IN, Phoenix, AZ and now back in Fort Wayne. He is a general dentist and enjoys Dentures and Crowns and Bridges, Cosmetic & Aesthetic Dentistry, Oral Surgery, and Implant Dentistry. He is committed to bringing the very best dentistry has to offer to his patients. This commitment is evident in his pursuit of higher education in the field of Dental Implants. This Advanced Implant Training has prepared Dr. Salkeld for the placement and restoration of Dental Implants. He is a 1998 graduate of the Misch International Implant Institute. In March 2005, Dr. Salkeld received his Fellowship in the International Congress of Oral Implantologists (ICOI). Dr. Salkeld is a member of the American Dental Association, Indiana Dental Association, and Isaac Knapp District Dental Society (IKDDS). He serves as an Alternate Delegate to the IDA House of Delegates and the Board of IKDDS. He is married to his wife - Erin. He is very active outdoors and enjoys motorcycles, hockey and spending time with his family. In his spare time, he is also a USA Hockey Official, ref'ing local and regional games. Together they have two sons named Connor and Carson. Erin enjoys her dogs, is a passionate horse lover and dabbles in the dog grooming business. Connor operates CJ Stables, LLC and farms hay and Carson plays travel hockey and golf. They enjoy horses, motorcycles, swimming and any and all outdoor activities.